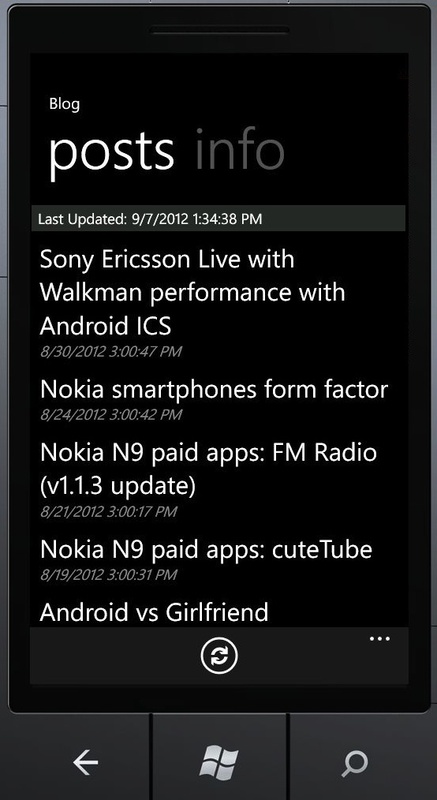 Since Nokia switched to Windows Phone and Microsoft doesn’t provide a service like NokiaAppWizard, I wondered how hard would it be to build a simple RSS app for this blog, similar to the one I already have in the Nokia Store! 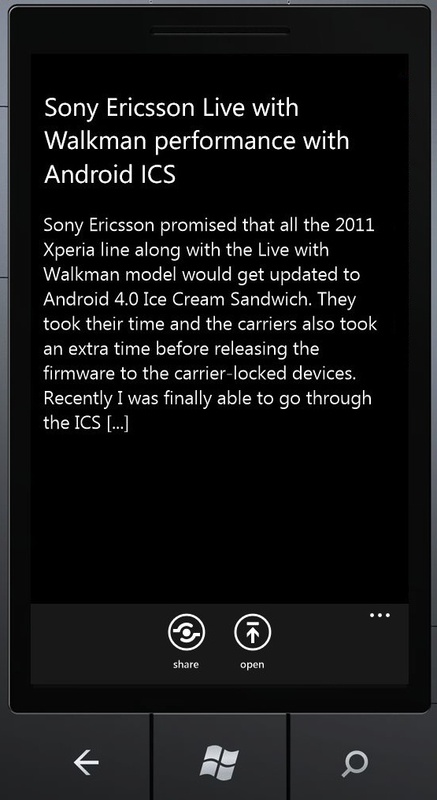 NokiaAppWizard doesn’t (and apparently will never) support Windows Phone. Unlike the Nokia Store, the Marketplace belongs to Microsoft, so Nokia is supposed to keep their hands off the Marketplace. 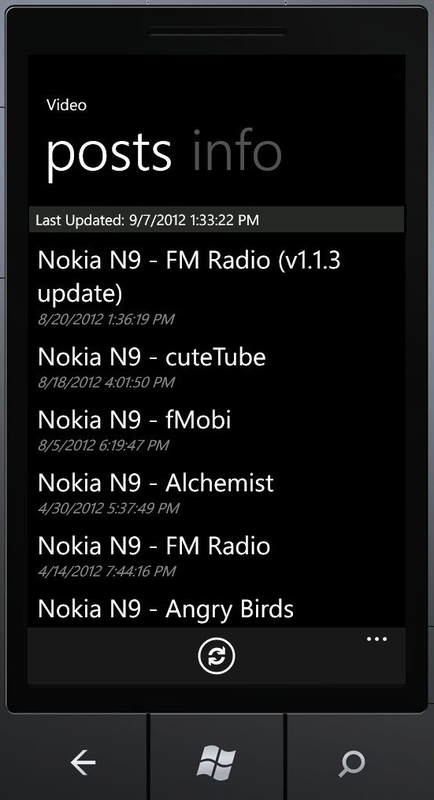 In my opinion it would be cool if the NokiaAppWizard evolved to support it, though. Microsoft is very developer friendly: for instance, students can obtain a free developer account through the DreamSpark program, which is pretty cool! Another thing that I must recognize as very helpful is the complete and extensive documentation, code samples, jump start videos, starter kits and all those kinds of stuff available at MSDN that allow even a beginner to build something in literally no time! 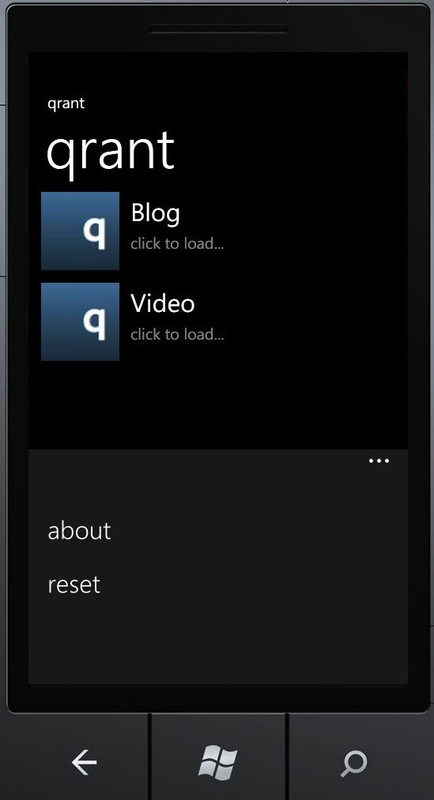 After a bit of research I found Chris Koenig RSSStarterKit sample code that can be found at GitHub: it was designed as an app template for building RSS-based Windows Phone apps. It’s really easy to understand and modify in order to fit your blog and it’s perfect as a starting point to a more sophisticated app with further enhancements such as additional features one can add on top of the base app. I’ve also found some good tutorials on things to watch out before submitting an app to the Microsoft Windows Phone MarketPlace. 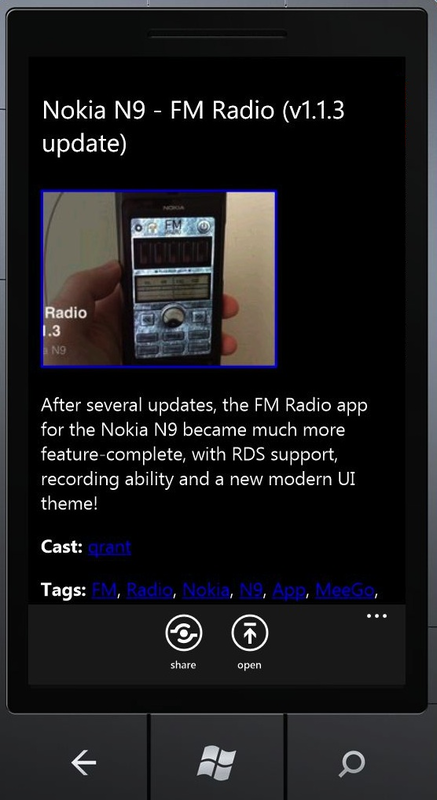 Most of them are not completely up to date since Microsoft changed some of the requirements in August, especially the background picture and tile / icon resolutions, probably because of the soon to be launched Windows Phone 8 and the newly supported screen resolutions. Other than that you also need a little bit of patience because it will take around a week between submitting the app and get it released in the MarketPlace, if you pass the certification process (obviously!). 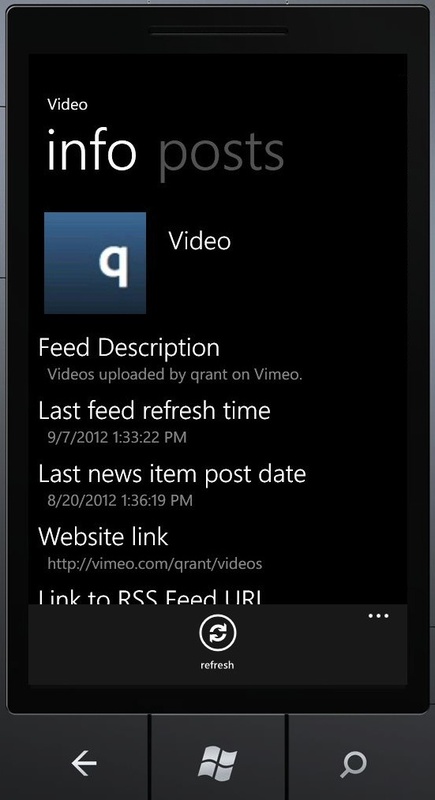 If you have a Windows Phone device, you can check the final result by getting the qrant app for Windows Phone at the Microsoft Windows Phone MarketPlace following this link, or simply by searching for qrant.